Fine steel and flexibility make these pen nibs perfect for ornamental work, calligraphy and other fine art projects. 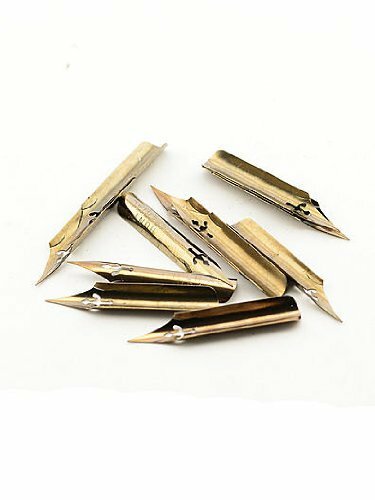 Finished in bronze and handcrafted in the USA, add these pen nibs to your collection of lettering art supplies for extra versatility. Pen holder sold separately. Use with a Speedball #9451 Pen Holder, Generals Cork Grip Pen Holder or Speedball Classic Pen Holders. Includes 12 pen nibs.Special Shipping Information: This item ships separately from other items in your order.